"'Mr. 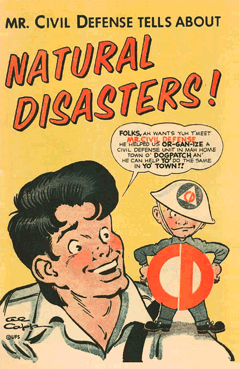 Civil Defense Tells About Natural Disasters' from 1956, by Al Capp. Click on the image to read online. 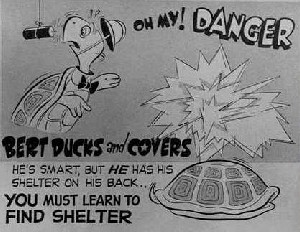 1957 Civil Defense Comic Book. Cover illustration by Al Capp. See some of the inside pages by clicking on the image.